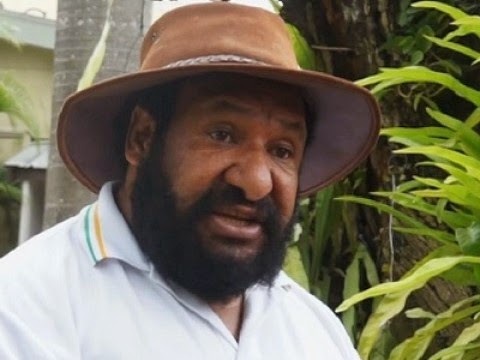 PNG Opposition Leader Don Polye says the country’s debt level for 2016 will be at K22 billion and not K19.7 billion as stated by the Finance Minister James Marape. “The Government’s projection of a total National Debt level of K17.7 billion in 2015 and then with the 2016 budget deficit of K 2.1 billion totaling K19.7 billion is far from the truth,” said Opposition Leader Polye. “In percentage terms this is well over 47 per cent as against the Debt to GDP ratio under the Papua New Guinea Fiscal Responsibility (2013 Budget) (Amendment) Act 2012, which provides for only up to 35 per cent. He said the Opposition had analysed that in the 2015 second round of revision of the Mid-Year Economic Fiscal Outcome report (MYEFO report, which is released by Treasury Department, only department responsible for this), stated the debt level was at over K20.29 billion. “Therefore, the truthful debt level will be up to K22. 3 billion in 2016,” he said. However, he said, the size of the economy needed to be assessed too. “Further to the preceding calculations in the Supplementary Budget section, the Opposition revises the size of the economy down to K45.4 billion. “But with a 4.3% GDP growth in 2016 as projected then, the GDP size will be K1.957 billion. Hence, 2016 GDP size will be enlarged by K47.37 billion and not K56 billion as claimed by the Government. “Therefore, the debt to GDP ratio will be at 47.1% and not 35.8% as projected by the Government,” said Mr Polye in the Opposition’s 2016 Budget Reply. He was concerned that the Government’s lack of fiscal discipline had destroyed all fiscal and debt management strategies. “Hence, the International Monetary Fund (IMF) is coming in to redo the medium term macro-economic policies again based on the current fiscal blow out,” he said. He said the Opposition strongly argued that the continual concealment of the true debt position of the country did not alleviate the situation, but only exacerbated it.